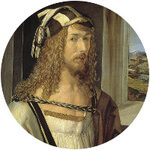 The truncated rhombohedron (also truncated triangular trapezohedron) is a polyhedron from Albrecht Dürer's engraving Melencolia I. 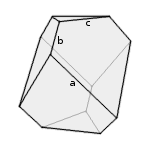 It is constructed by truncating the two sharp vertices of a rhombohedron with the edge length a and an angular ratio of 2/3 (72° and 108°), so that the remaining solid has a circumscribed sphere, that touches every vertice. Enter one value and choose the number of decimal places. Then click Calculate. Length and radius have the same unit (e.g. meter), surface areas have this unit squared (e.g. square meter), the volume has this unit to the power of three (e.g. cubic meter). A/V has this unit -1. 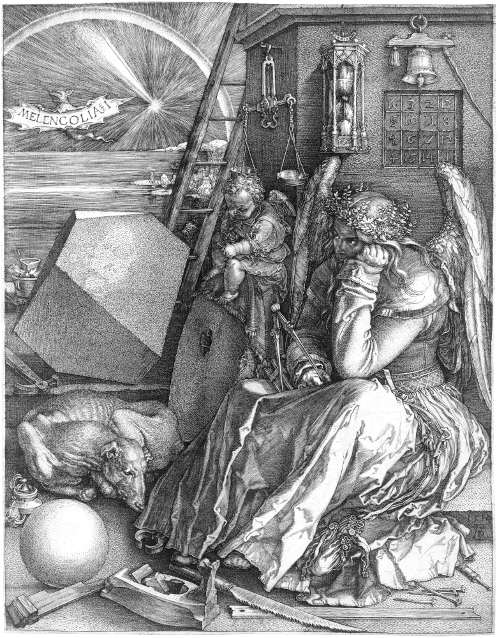 Albrecht Dürer, Melencolia I, engraving from 1514.